You are having a great year, business is steadily growing and employees are happy. With continuing growth in mind, you acknowledge that to meet future workload needs, your firm should contemplate acquiring a similar firm. Therefore, it becomes time to think about Mergers & Acquisitions (M&A). At the outset of the merger and acquisition process, you should address some important questions such as; will you be in need of a multi-company database and will the new acquisition require an integration as well as a new profit center? If you leave these questions and others unanswered, it can affect the success of the M&A. The process may fall short of expectations leaving you wondering why you bought the firm in the first place. You must ensure that this doesn’t happen by focusing on the critical details and making the deal a success. 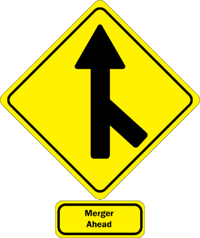 Why are Mergers and Acquisitions happening? In 2016, companies were motivated by low interest rates, resilient stock prices, solid employment and an abundance of cash. Additionally, a survey by KPMG found that companies wanting to solidify their position in their markets was the number one reason for deciding to buy another firm. So what were the results of the deals? According to a survey done by Deloitte, most respondents said some of their 2015 and 2016 deals fell short of expectations. A key takeaway from this survey is that integration planning and due diligence ranked high on the list as areas of crucial importance in making successful deals. Even though not all deals performed as expected, companies are still excited. The M&A outlook is positive for 2017 with 75% of survey respondents anticipating that deals would increase and 64% anticipating those deals would be bigger! More companies say they have increased cash levels and intend to use their cash to strike more deals. Furthermore, 73% of respondents said divestiture was a major focus of 2017. How much is enough Due Diligence? All too often, the due diligence phase does not uncover accounting practice differences and true project costs. Primarily, participants focus on the backlog, client relationships and project revenue. However, client systems may only show a small picture into the project lifecycle and not provide insight into work in progress, write offs, overruns and true project gains or losses. If a company does not allow enough time for this phase before the deal is done, resources may feel pressured to present a positive picture of the purchase and may not have adequate time and resources to show the complete picture. Even more, it’s not just the numbers that need to be in line. Firm culture can cause a deal to collapse. Employees may react with concern for their future and not view the new company’s goals and missions as being their own. As a result, they often feel they are the new kid on the block, even though they may have been with their current company for 25 years. For example, a Boston firm, where people go to work in suits, buys a Texas firm, where employees wear jeans and hunt on their lunch hour. Obviously, these are opposite cultures, and this needs to be addressed during the due diligence process rather than during the employee welcome or two months after the purchase is finalized. Most employees just want to know they will be paid the same pay, have the same benefits or better, and can easily complete their daily functions with little interruption. Are files and drawings easy to store, move and retrieve electronically? Is the office in the middle of the desert with no internet or cell service, and if so, how will timesheets be submitted on time? Is the technology team ready to meet that challenge? These basic questions are often key factors to employee dissatisfaction and are easy to overlook without proper due diligence. So who should be involved in the M&A and at what point? You need to make sure you are including individuals that can be your champions. These significant players must understand both the current company’s mission and the new company’s mission. Armed with this knowledge, they will be critical in the planning, execution and support of the new joint company. Keep in mind that there will be a learning curve on both sides. Systems are new, processes are new, and policies are new. If you can make the transition transparent and seamless to all parties, you will enjoy a more effective integration. Be prepared as you begin the M&A process and focus on the critical details. The deal will be successful if both due diligence and integration planning are handled effectively. Have your key players do the proper research and get answers to crucial questions. Doing so will ensure that the firm being acquired, or being merged with, will suit the culture of your firm and that there will be a seamless transition.